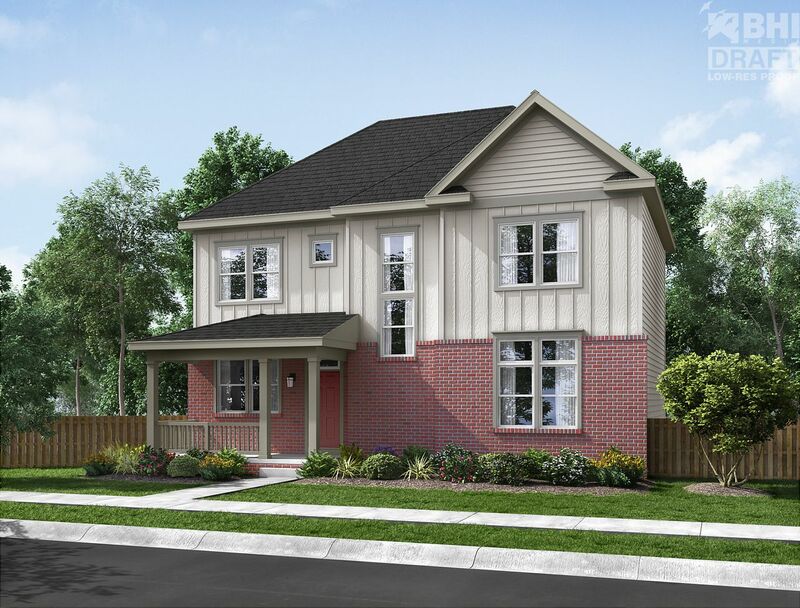 Two story, 3 to 5 Bedrooms, 2½ to 3¾ Baths - Main Floor Study, Open Kitchen to Great Room with optional fireplace, Rear Family Foyer with desk, bench and walk-in storage. 2 Secondary Bedrooms, share Jack-n-Jill Bath, convenient 2nd floor Laundry Room. 10 foot ceilings on 1st floor, 9 foot ceilings on 2nd floor. 9½ inch premium performance walls. Covered Front Porch, 2-Car attached Garage with optional Garden Shed. Optional 625 sq. ft. Finished Basement with Recreation Room, Bedroom and Full Bath. Model Home at Hyland Village! Hyland Village is LEED Certified! Hyland Village is LEED Certified! NEW SINGLE FAMILY HOMES IN WESTMINSTER FROM THE MID $500’s. Energy Efficiency has never looked so good! Two extraordinary Thrive Home Builders collections are now available in Hyland Village in Westminster. The FlatIrons Collection of two-story, single-family homes offers three high performance floor plans engineered for unmatched energy-efficiency, cost savings and comfort. These homes range from approximately 1,878 to 2,740 sq. ft. and start in the mid $500s. * Thrive's award-winning Solaris Collection is also two-story and single-family. Inspired by homes in Denver’s historic residential neighborhoods, these three plans offer a cost-effective, high performance package of health, comfort, advanced technology, energy savings quality and durability. These homes range in size from approximately 1,837 to 3,250 sq. ft. and are priced from the mid $500s. * Thrive Home Builders is Denver’s leader in the design and construction of energy efficient homes and has earned the Department of Energy’s Innovation in Housing Award two years in a row. You may not find a more energy-efficient home in all of Colorado! Our homes are certified Zero Energy Ready homes by the Department of Energy. Only a select group of the top builders in the country meet the extraordinary levels of excellence and quality specified by U.S. Department of Energy guidelines. Hyland Village is LEED Certified!